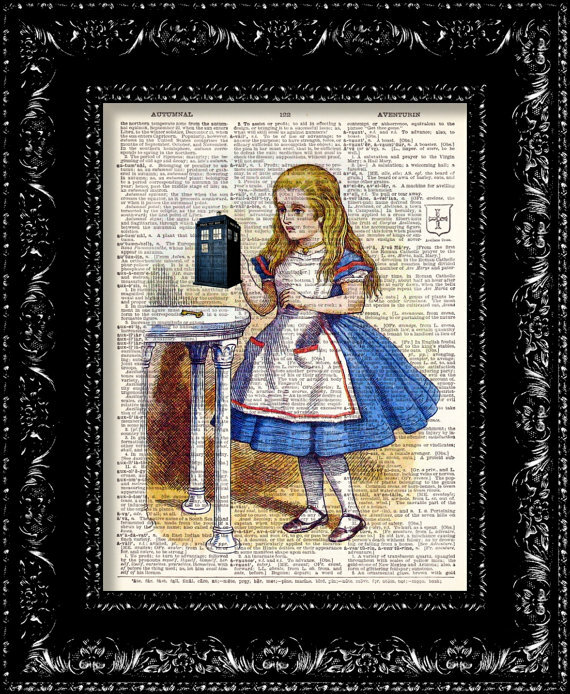 In case my blog name didn’t give it away, I love nerdy things – which includes prints on old book and dictionary pages, Dr. Who, Star Wars, and Alice and Wonderland. All of these things can be found at The Rekindled Page! I have ordered a few different Dr. Who prints from the shop, including the couple prints I have included in this post. I also ordered a few for my best friend who has similarly nerdy interests. You should definitely head over to her SHOP and give her some love on Etsy. You should also follow her on TWITTER. 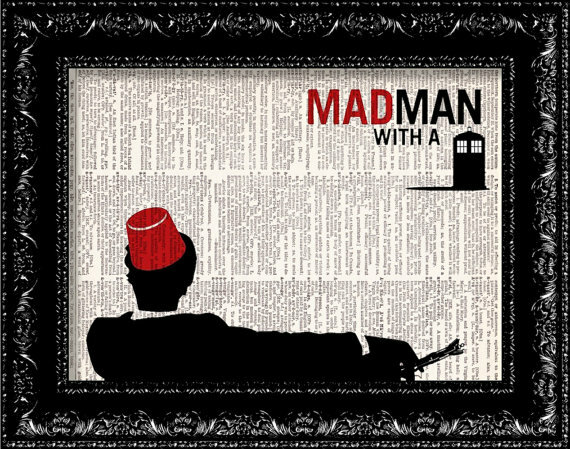 I love the Mad Men/Dr. Who mashup!